A small eatery called Yujeong in Nonhyeon-dong looks just like any ordinary restaurant in any part of Seoul. It measures only 82 sq.m, but long queues form every lunchtime, mostly women and foreigners. 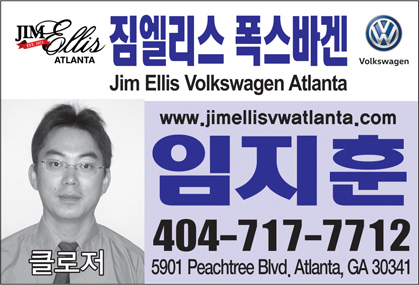 The reason is that the humble restaurant has been frequented by K-pop idols Bangtan Boys, also known as BTS, since they were trainees at their talent mill a decade ago. 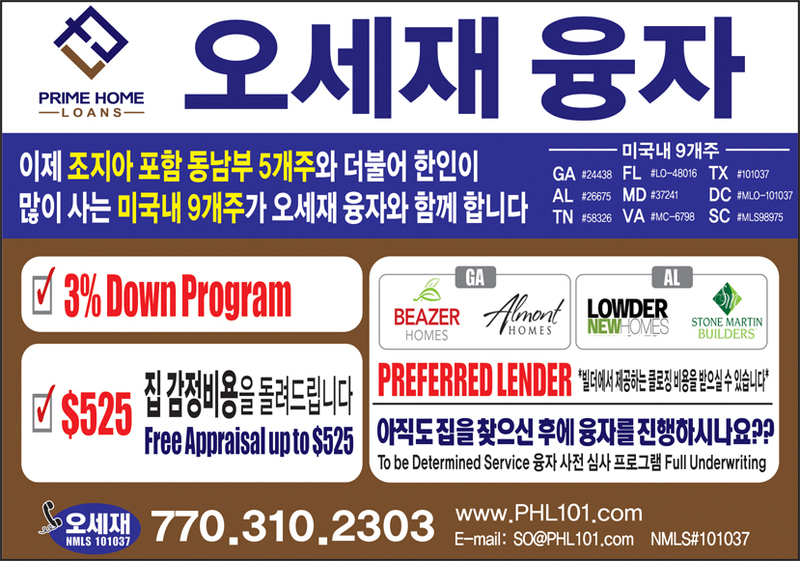 Kang Seon-ja, the 65-year-old owner, said, "We've had a huge increase in foreign customers since BTS topped the Billboard chart. They look for the seats where the boys used to sit, and they sing in unison even when they are having lunch when BTS' music comes on." The eatery is one of the main stops for a BTS-themed tour for fans. An increasing number of fans from Japan, Latin America, Southeast Asia and the U.S. are coming to Korea to take the tour. A wine bar in Apgujeong-dong is another stop, as well as stores and a café that sell BTS merchandise. Dropping a letter to their idols at their management agency Big Hit Entertainment is part of the fans' itinerary. Places where their music videos were filmed are also very popular. 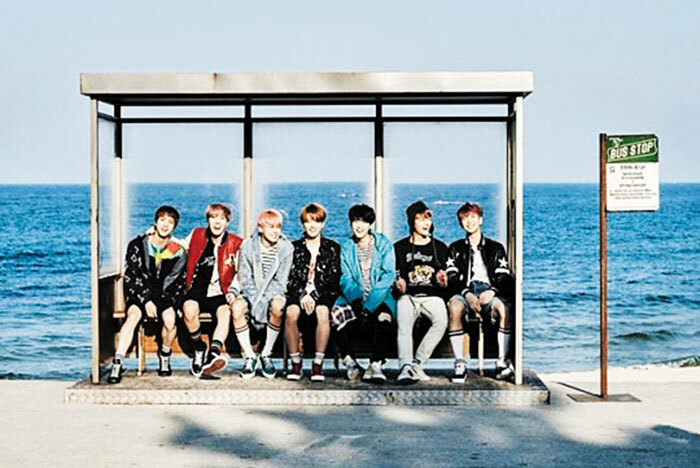 Gangneung in Gangwon Province even set up a photo zone at a bus stop near Jumunjin Beach, which was the background of BTS' "Spring Day" and the CD jacket for "You Never Walk Alone." 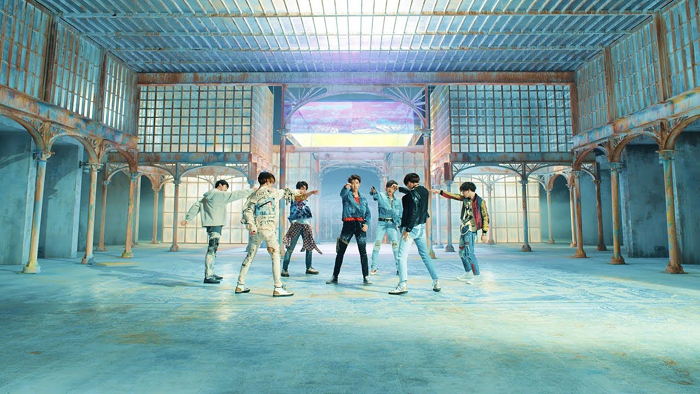 The video for the song "Fake Love" by Bangtan Boys has surpassed 200 million views on YouTube. Meanwhile, The video by the boy band, also known as BTS, reached the milestone on Sunday in a world record 44 days after it was released on May 18. Last year, their song "DNA" reached the same number of views in 90 days. Bangtan Boys have spent nearly 90 weeks on U.S.-based Billboard's Social 50 chart.